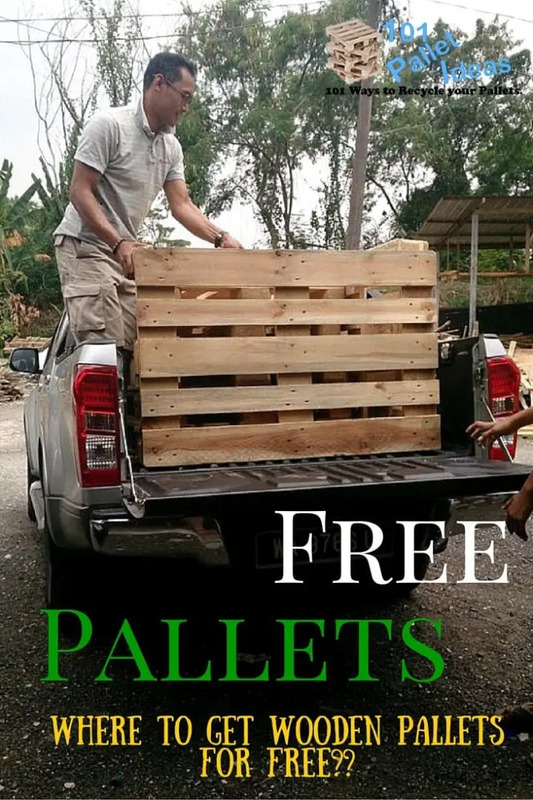 Where to Get Pallets for Free? Recycling of pallets is taking over the Pinterest! People are doing great pallet projects with pallet wood and are making such an original furniture, crafts and things out of them that you have thought about before! They are not just to left to rot away or to use as wooden fuel for home stoves, outdoor fir-pits and living room fireplaces! They are much more than just retired or jobless wooden pallet skids and have great stamina to be recycled repeatedly! Pallet projects and creative pallet furniture have just revolutionized the world and have provided some ways to live better even if you life is going through some financial crises! Along with a plenty of home, office, garden and work places improvement projects, one can also build almost cost-free furniture pieces with pallets in retro style, modern chic style, vintage and shabby chic style and stability and sturdiness would be guaranteed! Due to amazing uses of pallets for furniture, home decor and other projects people are being attracted to pallet wood recycling, upcycling and reclaimed and there are so many searches on the internet for pallet furniture projects every day! Everybody wants to use pallets now but there is great number of people that really want to know that where to get wooden pallets for free? It is majorly asked question and now we are going to reveal the hidden secrets and answers for it! Pet food is mostly delivered with the help of pallets which are used as for safety and secured coverage! After reception, pallets are treated as nothing else but a waste! So one can take a little visit of such a pet supplies and foot stores to get his hands onto a sturdy, good looking and numerous different sizes of pallets for custom and personal projects at home, it they are not fully free then no need to worry about it the owner will charge you really a little bit just next to nothing! Pallets really travel great and ensure the safe delivery of shipping goods and equipment’s! Most of the hardware material and furniture equipment that have been imported, have also been delivered to local stores through pallets! Store owner have really nothing to do with these pallets that come to them as just safety skids and become useless for them after delivery of their relevant material, so one make some deals with the store owners to get a required supply of pallets by spending a few bucks! You will also meet some owners that will just request you to take those pallets to your home for free as they are just to throw them out and you are doing this job for them indeed! Pallets also come to your place or in neighborhood for safe deliveries of various home appliances such as TVs and refrigerators and washing machines! So, your neighbor, for whom recycling of pallets is really a strange thing and never come to his eyes, will throw them to into local dumpsters, on discarded material piles, scrap material heaps and also on junky yards, so one can visit these places to get really a good supply of pallets on a budget! Some garden, lawn and nursery owners also ask to get their stuff delivered through pallets so such a garden and nurseries owners can also be enlisted and contacted for some cost-effective pallet deals! Shipments of documentations and other newspaper stuff I comes on pallets and it would a blasting good news if you have a news company located in the neighborhood or nearly to your home! Just give contact them if they have nothing to do with pallets and want really to get rid of them! Construction site is another big source of pallet supply, mostly the house builders and construction supervisors who take bigger construction projects, can be contacted to get some ways to get bunch of pallets as shipments of construction material are majorly received also on pallets! Just try to build a friendly a relation and ask them for some budget-friendly pallet deals, they can even give it to your for free! Small businesses mostly use the stuff on short scale and due to lack of money, the owners sell their waste material to earn few bucks more! On the other hand, large businesses really take it serious to reuse or recycle their old materials and not expose it to public or to local sales! So keep all the small businesses located in your area, in touch and let the pallets keep on coming to your home in flow for diverse different home improvement projects and furniture constructions! Just build up your social circle and take the persons in especially who are just in touch with pallets in any way! There are always some important announcements about the openings of new restaurants, shopping malls and departmental stores in every area, just keep yourself well aware of such an announcements and just reach that place to grab some pallets as all shopping mall or stores material shipments are received and delivered on pallets! Store and shopping mall owners just remain busy in interior organizations and have no time to think about something else! 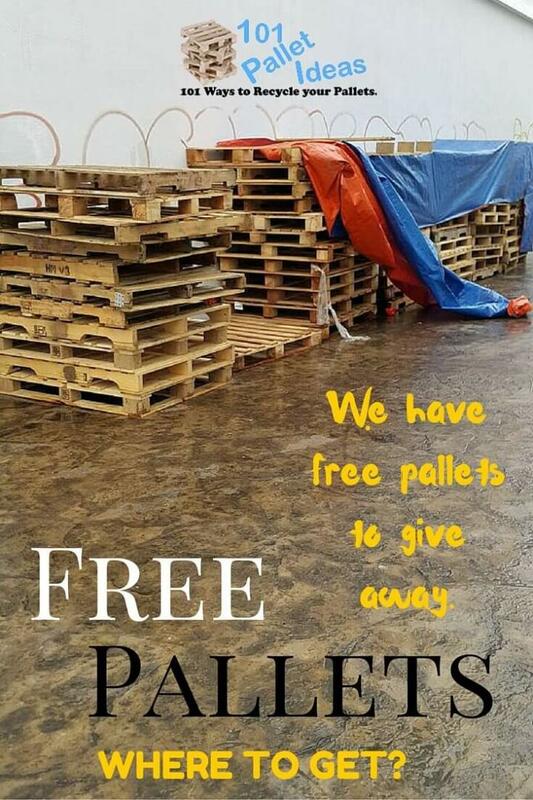 So if you ask them for pallets, they can really give it free to you as they only need to do at that time, is to get rid of waste material to avoid messy conditions! Craigslist is an advertisement website having different categories and you can simply brows it to check for some pallet deals! You can also check it for new updates and listing on regular basis to pick up some hot and cost-effective pallet deals! It may also be very possible you find a pallet listing with zero price tag! One can browse a bunch of social media sites such as Facebook and twitter and also some other search engines for some amazing and friendly pallet deals! 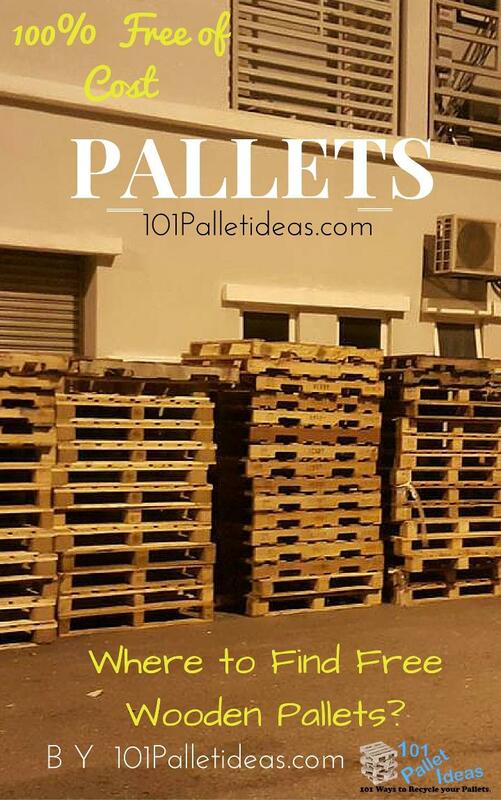 Internet can really connect you to some respectable DIY and pallet dealers which can charge a little for larger pallet supplies and you can also get some unused pallets from those dealers! Just be courteous and polite while being in conversation to those shop and shopping mall owners! Impress and motivate them with your pallet-made projects, like with a coffee table, garden bench or with a pallet pet or chicken house, it they really your projects and struggle then it is sure that their behavior will be cooperative! Also note the timings when those targeted persons are on rest, as it would be not safe to talk to them in their busiest hours and they can simple refuse it due to burden of their work at that time! So always go to them in their free time when they have lot of free time to listen you, early in the morning and or evening would be the best timings to go ahead! Manage the regular pallet supply through small business as large businesses have already some alternatives to reuse their waste material or pallets! Small businesses really can’t afford it to reuse those pallets again and this simply results into throwing of pallets into dumpsters! So one can really offer some money to grab pallets from those small businesses to make them interested in pallet deals! If you really find a house builder or a construction supervisor just try to build a relationship with him! Just ask for pallet in friendly manner and also get the phone numbers to keep always them in touch! If they really agree at to give pallets to you then also send them some pictures of your finally finished pallet-made projects to impress them with what extra brilliant you have created out of their junk and discarded material! Just motivate them and we are sure that they will like to give you some more pallets with smile on their face and this will also make them feel proud that material they are offering, is being used brilliantly for the real advantages and benefits that are possible! Browse the people having the material you are in need of and exchange the emails and contact numbers to develop a stronger relationship! Craigslist may be the very first choice but Facebook and other social media sites have also abundance of such a people but you have to find them through a little search and browsing! Power of interior can really make you get with lot of persons that really deals in pallets or feel it a pleasure to give them for nothing! We’ve shared here a Google Map, Where you can see addresses of People Who want to give away there pallets!! Enjoy and Share! We have a bonus for you here! Now you would be able also to locate the exact people that want to go for some pallet deals! Map and contact numbers and emails have been provided to connect with any who is near your home! Here it come the list of persons that want to give their pallets for free or with little charges on them! If you need some 60X60 inches 260 pc beefy pallets then contact the given numbers and emails! [symple_box color=”blue” fade_in=”false” float=”center” text_align=”left” width=”300″]If one is really interested to get a bunch of total 40 pallets for free then contacting details are give below! [symple_box color=”blue” fade_in=”false” float=”center” text_align=”left” width=”300″]People in Montlouis-sur-Loire in France can avail this bigger opportunity, if there is anyone who want to have a big stock of pallets, can go to this industry with name “Conneui” located in “Montlouis-sur-Loire” , all you get for free from this company! [symple_box color=”blue” fade_in=”false” float=”center” text_align=”left” width=”300″]If there is any DIYer who really lover to get and recycle free pallets, truck volumes of pallets are available in different sizes! Interested people can connect by email to their sit to know about the pallet volumes available! Timings to contact are Monday-Friday (8am-5pm) central time. Contact to this ecological wooden house and bioclimatic construction company located in the Marais Poitevin in France. Pallets and other wooden boards are available here in bigger quantity for those creative recyclers and upcyclers! [symple_box color=”blue” fade_in=”false” float=”center” text_align=”left” width=””]Here is an equipment dealer company located in South Albama! They receive pallets on regular bases and really looking for some ways to dispose them! [symple_box color=”blue” fade_in=”false” float=”center” text_align=”left” width=””]Here is person with name Ranjith from 97p Stores Limited. This company is also looking for to dispose pallets on following addresses:66 Broadway, WestEaling, United Kingdom. 51 Bridge Street, Pinner, United Kingdom. [symple_box color=”blue” fade_in=”false” float=”center” text_align=”left” width=””]Here is company that is offering Euro pallets in different size range! As Euro pallets are more expensive so the price for each piece has been set £2.00. People who are interested to make a deal can contact to them 10:00am to 5:00 pm weekdays and 11:00am to 3:pm on Saturday! These people only deliver in Leicestershire and shipping fee depends on area postcode! [symple_box color=”blue” fade_in=”false” float=”center” text_align=”left” width=””] Here is a person who is offering 1000 pallets of different sizes for free! Anyone Who can have a small or good amount Wooden Pallets and want to get rid of them or give away or sell then Don’t hesitate to share your Address here ( Contact Us ) and inform us. [symple_box color=”yellow” fade_in=”false” float=”center” text_align=”left” width=””] Have up to 55+ wooden pallets and crates to be picked up, different conditions. [symple_box color=”yellow” fade_in=”false” float=”center” text_align=”left” width=””] We are a company of repair / reuse all of wooden pallets, We sell all type of wooden pallets to all distributors and individual people. We are in Newfolk, Va. So we have some type of pallets like, Euro pallets, small and big and block pallets. [symple_box color=”yellow” fade_in=”false” float=”center” text_align=”left” width=””] We have a range of different wood pallets, Euro pallets are more expensive and also each pallet price at: £2.00. You can call as 10:am to 5:pm week days and 11 to 3:PM at Saturday. [symple_box color=”yellow” fade_in=”false” float=”center” text_align=”left” width=””] We have a lot of wooden pallets size 34″ x 46″ looking totally new, Just used one time.